A new way to watch the FIFA Ultimate Team Championship Series. 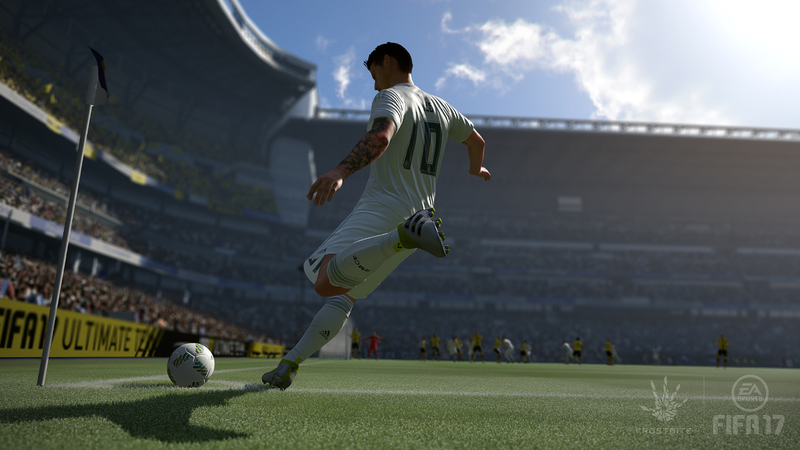 One of the top FIFA eSports competitions is going to be shown on BT Sport in the UK. Today, the broadcaster has announced "exclusive" coverage of the FIFA 17 Ultimate Team Championship Series, an EA organised tournament built around 'FUT Champions,' a fantasy mode where players build and compete with custom teams. BT will start with the North American regional final in Vancouver on April 8th, followed by the Asia-Pacific heats in Singapore on April 22nd. The channel will then televise the European regional final in Madrid on May 6th, before tackling the all-important Championship Final in Berlin on May 20th and 21st. FIFA is hugely popular in the UK and should, therefore, tie in nicely with BT's regular football coverage, which includes Premier League, Champions League and Europa League fixtures. ESPN struck a similar deal with EA earlier this month, grabbing permission to show the Championship Series on ESPN2, ESPN3 and ESPN Deportes. The demand for live, televised FIFA coverage is unclear, however. The game has its audience, of course, with professional tournaments held all around the world, but it's not on the same level as Dota or League of Legends. On a sports channel, however, the game stands a better chance of attracting a large, mainstream audience. The competition could be buoyed by traditional football clubs too. Many professional sides -- Manchester City, PSG, Roma, Ajax, Monaco and Wolfsburg, to name just a few -- have signed their own FIFA stars. If casual fans see a team they recognise (eSports players typically wear their club's jersey to tournaments), that could help to win them over. Watching a virtual Messi dance his way through a Sevilla defence will, of course, never match the real deal -- but for those who love the beautiful game, seeing the best FIFA players duke it out could serve as a pretty close substitute. Update: Changes to the tournament schedule has pushed the start of the regional finals back to April 21st.